The Aspheric lens is created with steeper curves which allow for higher magnification with less distortion. Eschenbach aspheric magnifiers have an ergonomic handle design that makes them comfortable to hold and the lens is specially calculated to provide distortion-free viewing. 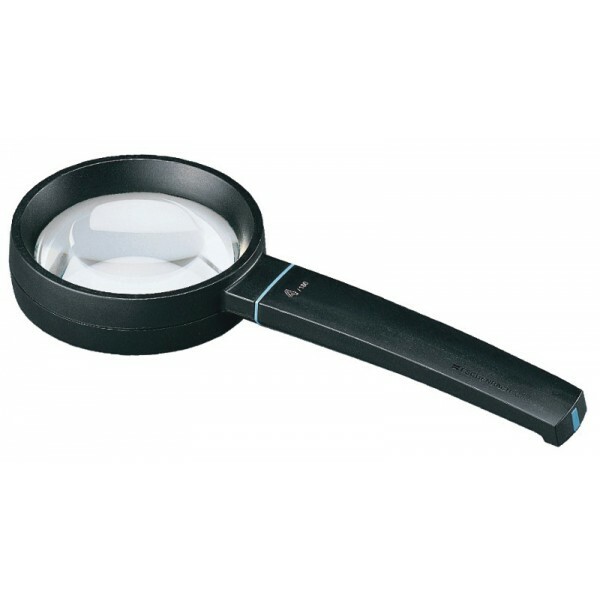 Eschenbach aspheric magnifiers feature PXM lightweight lenses with cera-tec coating to prevent scratches, contributing to a longer life of the product. Our Aspheric hand-held magnifiers are excellent for short term spotting tasks, such as reading prescriptions on medicine bottles, reading menus, maps, labels, and thermostats. Each magnifier comes with a loop hole and carrying cord.